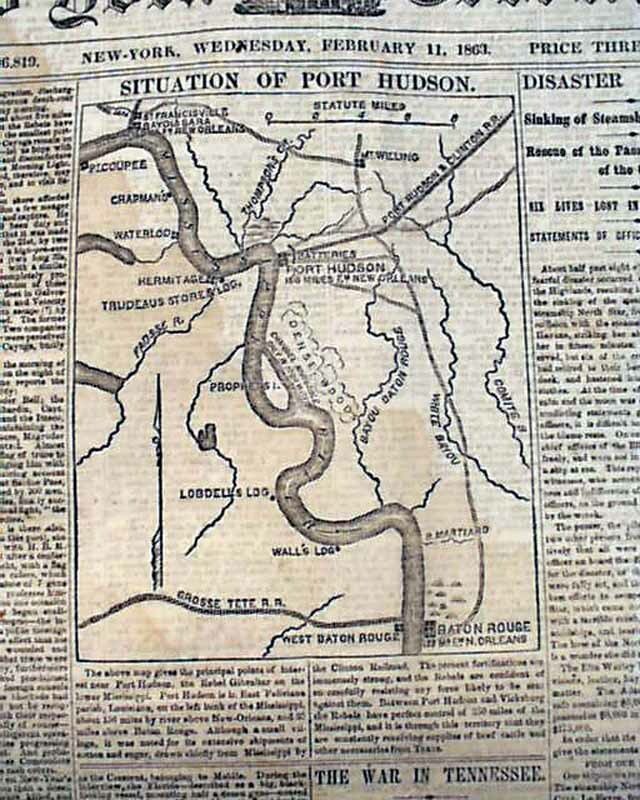 The front page is dominated by a Civil War map titled: "Situation Of Port Hudson" which shows the vicinity as well, from Baton Rouge to the south, to St. Francisville & Bayou Sara to the north. 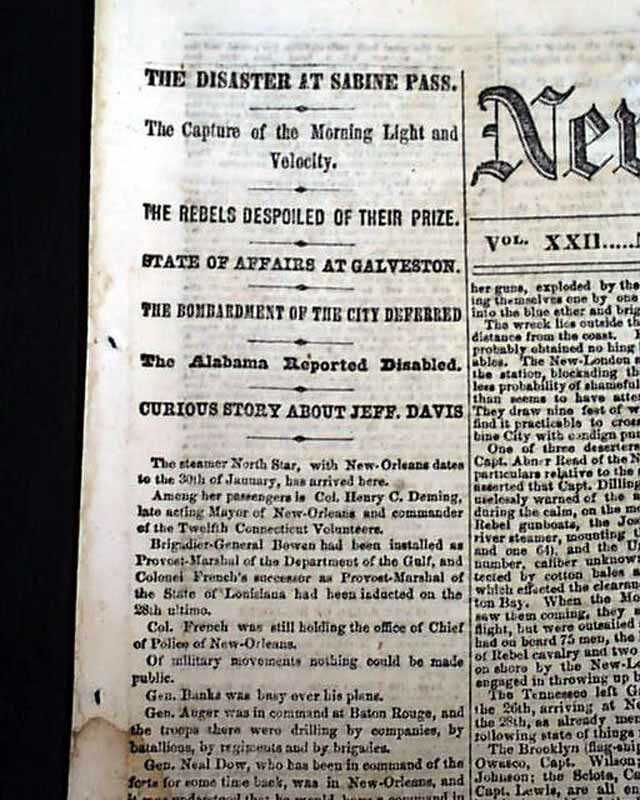 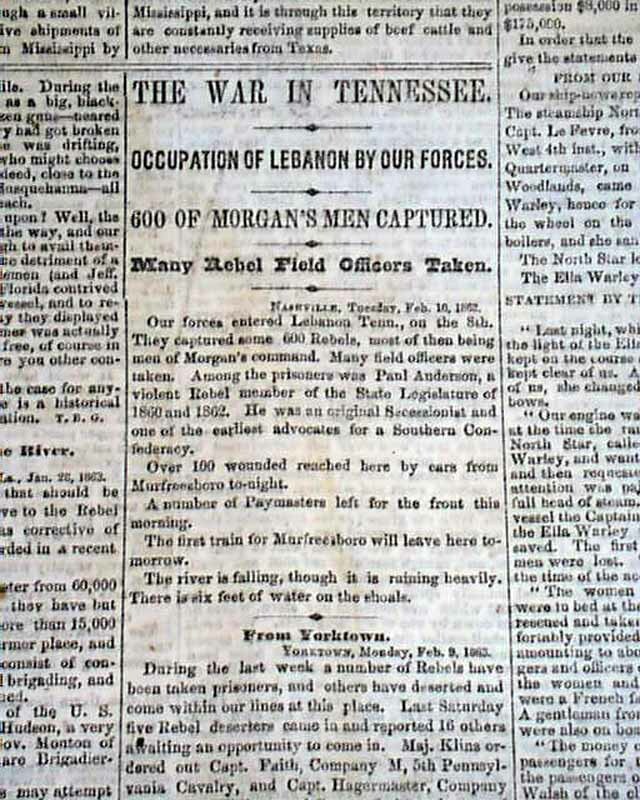 Many one column war-related heads as well including: "The War In Tennessee" "Occupation of Lebanon By Our Forces" "600 of Morgan's Men Captured" "The Disaster At Sabine Pass" "The Rebels Despoiled Of Their Prize" " State of Affairs at Galveston" and more. 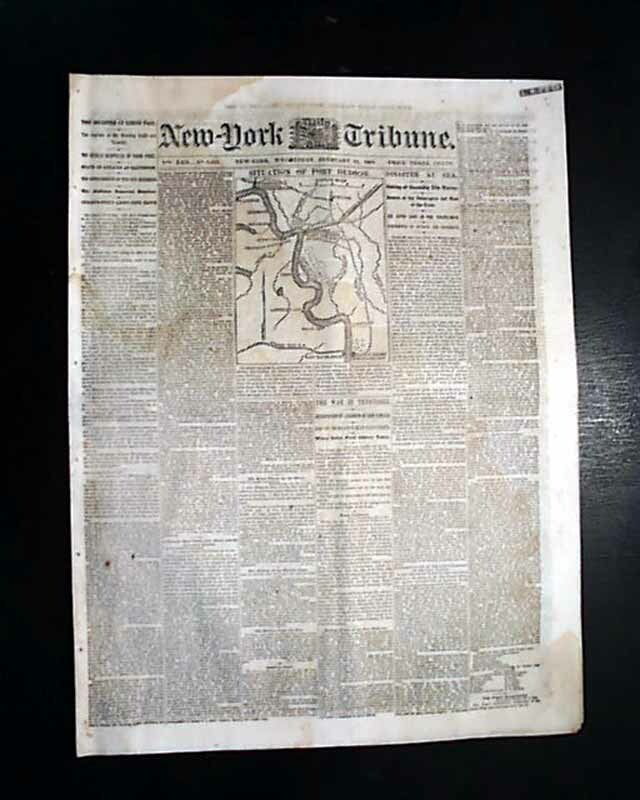 Eight pages, minor damp staining, nice condition.